It’s Mahaveer Jayanti today, and we are reminded of the most beautiful Jain temple in Rajasthan i.e Ranakpur Jain Temple! Ranakpur Jain temple is a beautiful destination to experience the marvels of architecture in Rajasthan. The famous Jain temple is located near Sadri town in Pali district of Rajasthan. The main attraction of the Ranakpur Jain temple is its architectural excellence and fine carvings on the walls. The major attraction of this temple is the Chaumukha marble temple. The temple comprises of 1444 pillars, each unique in architecture and design. These pillars in the temple are completely carved in a different manner without any similarities. Carvings of pillars are the peak level of architectural skills in this temple. Other than the pillars, the mesmerizing multi-curved ceilings catch the visitors’ attention. Ceilings of this temple are beautifully carved and designed with miniature designs, geometric designs. Not just the pillars and ceilings of the temple, some other beautiful carvings like Marble elephant are also the attractions of Ranakpur temple. So many sculptures and different fine carvings are the symbol of architectural style and preaches of Jainism. This temple is the best and unique place to experience the legends Jainism. The deities that are worshipped here are the Adinath, Neminath, Parshvanath, Surya, and Amba Matha. Among them, the Adinath temple means Chaumukha is visited by a maximum number of devouts. The amazing flavor of fairs and festivals in Rajasthan has its own charm. These fairs and festivals prove to be the best opportunity for the guests to peep into and understand the cultural and traditional aspects of the land of royal figures more closely. One of the small and grand festivals is the Sheetla Ashtami festival, which is celebrated in Rajasthan. Sheetla Ashtami is celebrated during the spring season in the month of March or the beginning of April, right after seven days of Holi. Festivals hold an unusual lure for the Rajasthanis and here you can find the locals up with many reasons to celebrate and make merry in the form of different colourful festivals. Each part of Rajasthan has its own unique festival and the village of Seel-Ki-Doongri lying on the Jaipur-Kota road near Jaipur has its own unique festival to worship Sheetla Mata. It is a very important Hindu festival in Rajasthan. It is commonly known as Basoda बसोडा or like many people may call it Sheetla Ashtami शीतला अष्टमी. Sheetla Mata, believed to be the Goddess of Small Pox, is worshipped on Sheetla Ashtami which is falling on 28th March 2019 to control the visitation of a smallpox epidemic in the town. This fair is a rural celebration and is quite popular in the interiors of Rajasthan. The fair is also popular among foreign visitors because of the charismatic display of rural life and colors. 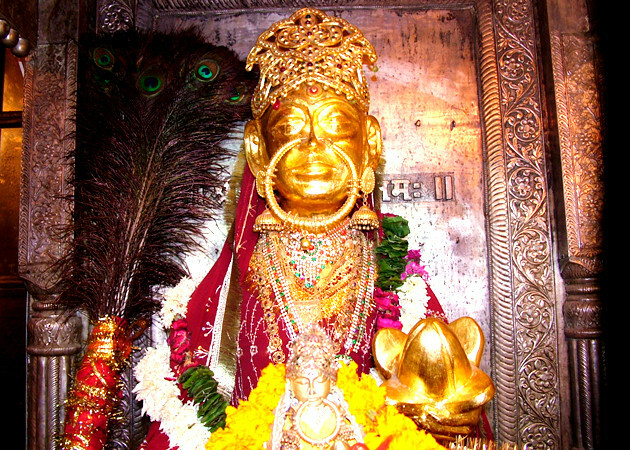 Sheetla mata is worshipped on this day. Cold and stale food is offered to Sheetla Devi after the puja. This food is known as Basauda. The same food is consumed by the devotees and distributed among everyone. It is a common belief among all the people that worshiping Sheetla mata on Sheetla Ashtami would prevent them from the deadly outbreak of diseases. Wish everyone a very Happy Sheetla Ashtami ! The Braj festival in Rajasthan is dedicated to Lord Krishna who is believed to have spent a considerable amount of time in the region called Braj in Bharatpur district of Rajasthan. This festival not only replicates the spirit of Holi but also impersonates the timeless love of Radha and Krishna. The most beautiful highlight of this festival is the Raslila dance performed with great zest and unity. The entire town of Bharatpur is painted into the colours of love and gaiety, where no one is spared from being splashed with colours. Celebrated a few days ahead of the actual color festival of holi, the braj holi of bharatpur commemorates the same colorful spirit with great pomp and gusto. The town changes tones. The clouds above are jealous of the clouds below, which will wear but white. Splashes of joy are ubiquitous. Come to Braj for the Braj Holi Festival. As the shades mix, a new hue awaits you on 17th March, 2019. Situated in Alwar district of Rajasthan, Sariska Tiger Reserve is stretched over an area of 866 km² comprising scrub-thorn arid forests, dry deciduous forests. Recently, developed as the state’s wildlife destination, it is smoothly catching pace in the tourism circuit with the attractive landscapes and vast flora & fauna. The tiger reserve is soon going to give a reason to wildlife enthusiasts to rejoice as Rajasthan government’s tourism department is planning to develop a new tourism circuit with Sarika and its nearby areas. Beautiful places owned by RTDC at Sariska like Tiger Den and Siliserh, which have immense tourism potential due to their proximity to Delhi and Jaipur, have remained neglected due to several reasons. This year now, the tourism destination will be restored to its pristine glory and as a result, will boost the tourism potential of the entire state. Tourism and wildlife go hand-in-hand at national parks, and very soon the travelers and wildlife enthusiasts visiting Rajasthan will get a chance to enjoy safaris in all the zones of Sariska Tiger Reserve. Rajasthan is globally acclaimed for its royal grandeur, rich culture and vibrant festivals. The land of maharajas has something to offer to the connoisseurs of culture, adventure and vibrant celebrations. A one-of-its-kind horseback adventure – ‘Gallops of India’ is another exciting event in Rajasthan, which will take place in Mandawa from 2nd to 10th March this year. This edition is hosted in India is the 3rd in a row after Morocco and Oman. The adventure event was a huge international success with riders participating from different parts of the country. This exemplary competitive endurance ride will witness 70 horse riders from all over the world riding the indigenous Marwari Breed covering a total distance of 200 km. The riders will participate from countries like Australia, Belgique, Brazil, France, Germany, Ireland, Israël, Italy, Luxembourg, Norway, Oman, Poland, Slovakia, Spain, Switzerland and the USA. The prestigious 61st Cavalry of the Indian Army will also participate in the event. The Gallops is the only equestrian event in the world which offers high adrenaline adventure that is simultaneously sporty, human and touristic. The Rajasthan Chief Minister, Mr Ashok Gehlot also congratulated the organizers for organizing an event to promote and popularize the Indian Marwari horse breed. It is to be noted that the 1st edition of the Gallops took place in the Sultanate of Oman, with the support of its Majesty Sultan Qaboos, in the year 2014 with 110 riders from 10 different nations participating in the prestigious event. Similarly, under the patronage of its Majesty, King Mohammed VI, Morocco hosted the 2nd edition of the grand marathon in February 2018 with 4 foreign teams from Oman, Germany, Ireland, France, Slovakia and Malaysia participating in the expedition. Jhalawar: a fascinating bird sighting destination. Rajasthan’s historic district with religious values- Jhalawar is slowly and gradually making its mark in Eco-Tourism and wildlife. The traditionally rich land of Hadoti region is becoming a new Birding Hot Spot in Rajasthan and is attracting tourist from across the world. This year the Second Bird Festival of the District has been organized with Zeal and Enthusiasm along with a collaboration of District Administration and Forest Department. According to the Bird enthusiast Anil Rodgers, the Bird Festival has been organized in a wonderful manner and under the keen supervision of District Collector Dr. Jitendra Kumar Soni. The presence and participation of school and college student, wildlife research scholars, scientists, local bird and environment lovers, participants from Kota, Bundi, Udaipur, Chittorgarh and Bharatpur including many other District added to the charm of the festival. A world-class Wildlife and Birding Photography Exhibition showing the true Wild colors of Hadoti along with a rare and exclusive stamp collection was also a part of the festival. Jhalawar is replete with the rich avifaunal biodiversity, there are more than 250 local and migratory species recorded here. Including Bar-Headed Geese, Greylag Geese, Ruddy Shelduck, Flamingoes, Northern Shovelor, Northern Pintail, Common Teal, Gadwal, Red Crested Pochard, TufftedPochard, White Eyed Pochard, Common Pochard, EurasionWegion, Pallas Gull, Black Tailed Godvit, Redshank, Green Shank and many other waders. Moreover, Jhalawar has active habitation of critically endangered Long-billed vultures, and White Rumped Vultures and you can also see rare Asian King Vulture (Sarcogypscalvus) and endangered Egyptian Vultures in Abundance. Wetlands of Jhalawar are a big attraction to see the tallest flying bird, Sarus Cranes are breeding here in good numbers as well as you can see Painted storks, Whooly necked stork, Migratory Black Stork and Resident Black Necked Stork in the Gorges and Open Wetlands. Besides these, Ancient Kolvi Caves, World Heritage Site Gagron Fort, Dalhanpur Ruins, Sun Temple, Chandrabhaga Temple are worth visiting places in Jhalawar. Enriched with old traditional values wouldn’t be able to miss the hospitality of the people of Jhalawar.